Nancy Tatom Ammerman examines the stories Americans tell of their everyday lives, from dinner table to office and shopping mall to doctor's office, about the things that matter most to them and the routines they take for granted, and the times and places where the everyday and ordinary meet the spiritual. In addition to interviews and observation, Ammerman bases her findings on a photo elicitation exercise and oral diaries, offering a window into the presence and absence of religion and spirituality in ordinary lives and in ordinary physical and social spaces. 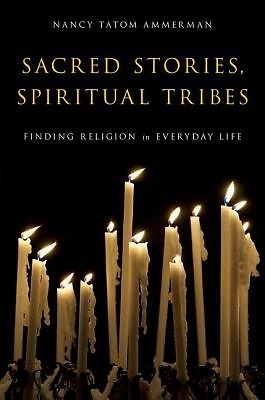 The stories come from a diverse array of ninety-five Americans -- both conservative and liberal white Protestants, African American Protestants, Catholics, Jews, Mormons, Wiccans, and people who claim no religious or spiritual proclivities -- across a range that stretches from committed religious believers to the spiritually neutral. Ammerman surveys how these people talk about what spirituality is, how they seek and find experiences they deem spiritual, and whether and how religious traditions and institutions are part of their spiritual lives.